Iron Man should be glad he has a surface of paint on there, otherwise he’d turn into Iron Oxide Man and he would be pretty much useless. “It’s not actually iron, it’s a gold-titanium alloy” as the movie said. Titanium I can understand…but gold is really soft and malleable, metallurgically speaking. I wonder why it’s gold. Maybe to provide flexibility? gold is a good electrical conductor, so maybe that’s where the gold come in? the circuits might be printed on the inside of the titanium shell? when will it be time for him to spread fear though? 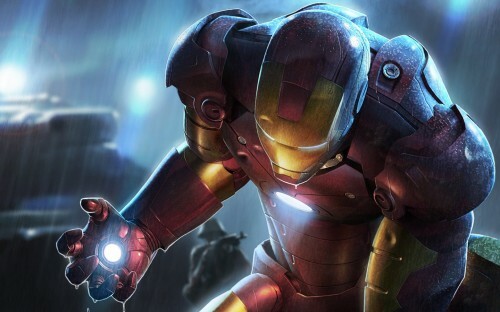 Cannot wait for Iron Man 2! Whiplash better not be a horrible villain.